Home Tips How Does Plate Colour Impact Your Dining Experience? Most foodies concentrate far more on what’s on the plate than on the plate itself. Understandable, and yet the colour of the plate actually plays a role in how we eat. If you’re a gastronome, such subtle differences are well worth paying attention to. It’s not like changing the colour of your plates is going to vastly change the way you experience each meal, but even minor shifts can have an effect. Before we consider colour, we need to consider contrast. You see, it’s not just the colour of the plate that matters – also important is the contrast between the colour of the plate and the colour of your food. Firstly, people tend to serve themselves more when the colour of the food closely matches the colour of the plate. 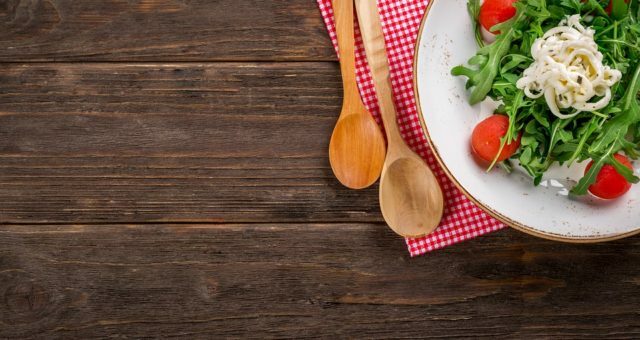 This seems to be because serving sizes look smaller when food colour matches plate colour – it’s a finding that revolves around an optical illusion known as the Delboeuf illusion. But colour affects more than serving size. If there’s a strong colour contrast between food and plate, the flavour of that food seems more intense. So, green beans served on a white plate will tend to taste more intense than green beans served on a green plate. Restaurants often put plenty of thought into plate colour because they know that different colours provoke different responses in the human brain. Red: An appetite-stimulating colour that activates your hunger and makes you want to eat quickly. Yellow: Stimulates the appetite because humans usually associate yellow with happiness. When you see it, your brain secretes more serotonin, and you feel more relaxed. Green: People tend to view green foods as healthier, so serving food on green dishes can help make any dish seem a little better for you. There are also a few colours that you probably want to keep away from. Blue tends to suppress the appetite because very few naturally-occurring blue foods are safe to eat.